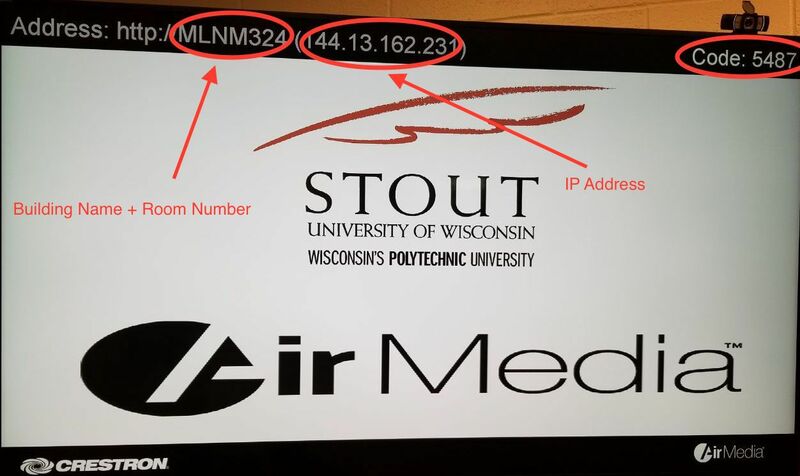 AirMedia is a wireless projection system that utilizes wireless internet to allow instructors and students to project to classroom projectors. The AirMedia application must be installed in order to use the AirMedia system. Many campus computers will already have AirMedia installed. The following instructions are for faculty and staff only; students have different instructions. Click on the Search icon in the lower left corner of the screen. 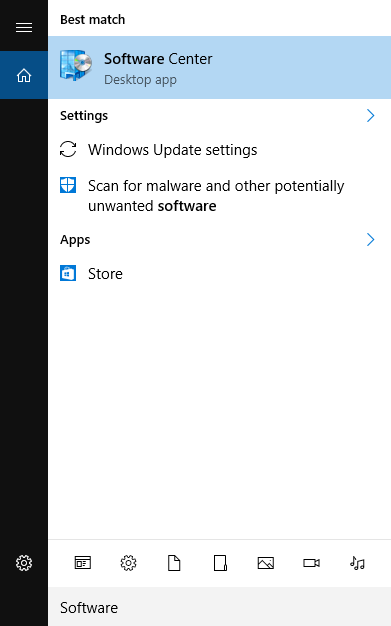 Search for Software Center and double click on it to open. In the software center, locate AirMedia. Double click on it. This screen should pop up. Click on the "Install" button. On the bottom taskbar, right click on the AirMedia logo and click on Pin to taskbar. 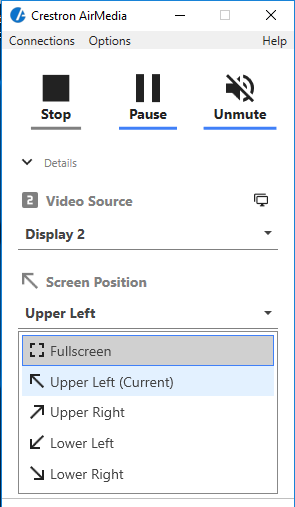 Click on Close window to exit the program, and then re-open it for use. Auto Discovery is on by default, click the circle to turn it off. Click OK to save your changes. Auto Discovery should now be off by default.